Dr. André Nel started his working life in emergency medicine and general medical practice. He qualified at the University of Pretoria in South Africa. He is registered to practice medicine in Ireland, the United Kingdom, South Africa and Canada. Dr. Nel is a “Diplomate of the American Board of Hair Restoration Surgery”, ABHRS. Since 2008, he has been working in Hair Restoration and Skin Restoration, learning first-hand from world leaders in these fields. Having trained in the fundamentals of Hair Restoration with Dr. Bijan Feriduni (Hasselt, Belgium) and Dr. Mark DiStefano (Boston, USA) he also received advanced training in the finer nuances of FUE technique via the FUE Palooza in Denver, Colorado, in 2012 from Dr. James A. Harris (Denver, Colorado, USA), and Dr. John P. Cole (Alpharetta, Georgia, USA). Dr. Nel also visited the practices of Dr’s Ron and Paul Shapiro (Minneapolis, USA) and Dr. Willam Magdalin (New Hampshire, USA). He further trained in Skin Restoration with Dr. Zein Obagi (Beverly Hills, USA), Dr. Clara Santos (Sao Paulo, Brazil), and also Prof. Bob Khanna (Reading, UK). Dr. Nel says “Because of their absolute mastery in their fields, I consider Dr. Bijan Feriduni my mentor in Hair Restoration and Dr. Zein Obagi my mentor in Skin Restoration”. His personal specialities are FUE technique and combination FUE/FUT technique with hair restoration and the Obagi Blue Peel with skin restoration. Dr. Nel qualified at the University of Pretoria School of Medicine in South Africa. He is registered to practice medicine in Ireland, United Kingdom, South Africa and Canada. 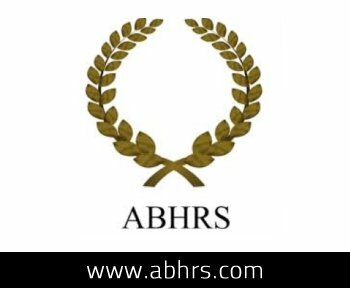 He is a Diplomate of the ABHRS (American Board of Hair Restoration Surgery). He is a member of the ISHRS (International Society of Hair Restoration Surgeons) and ESHRS (European Society of Hair Restoration Surgeons). He is qualified in ATLS, AMLS, ACLS, BLS Certification, giving full registration as an emergency physician. He also qualified with an MBA from the University of Pretoria School of Business in 2005, majoring in Information Technology systems. His thesis investigated the role of Clinical Risk Management Systems in Healthcare and improving quality, efficiencies and costs. Dr. Nel currently practices Hair and Skin restoration at The Hair, Skin & Wellness Clinic in Ireland, the United Kingdom and South Africa.